A bright yellow sign warns motorists that the road is flooded. Heads up for drivers that use Highway 94 in West Alton. WEST ALTON, Mo. 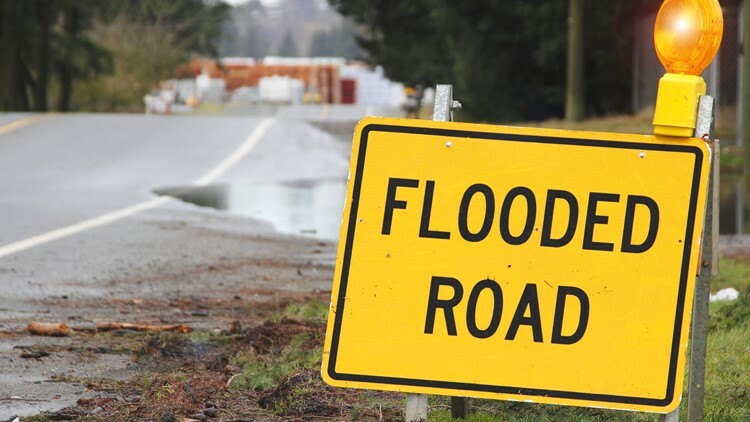 — Highway 94 between Saale and Feltes Roads is closed due to flooding. The Rivers Pointe Fire Protection District said the Feltes Road/Saale Road detour will be in effect until further notice. Drivers are asked to be careful in the area as the detour will take drivers through construction and residential housing.